Youssef Dib made his amateur debut in 2010. His main goals for the future; aiming for the 2014 Commonwealth Games (Glasgow) and the 2016 Olympic Games (Rio de Janeiro). At the moment Youssef is in heavy preparation for the Australian Amateur Titles, which will be held in Adelaide from February 9-16th. 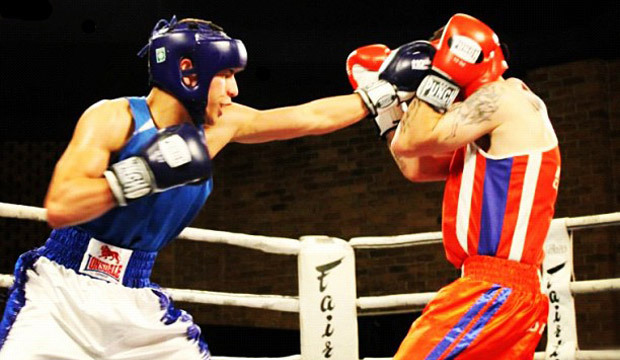 Youssef will be representing NSW at the Titles after winning the NSW 60kg title in October, 2012. To start training you will need a pair of gloves, hand wraps and a skipping rope. You can purchase this equipment yourself and bring your own that you already own, or you can purchase boxing equipment from the gym.